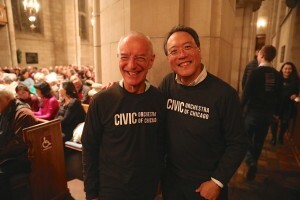 On November 30, Yo-Yo Ma returned to Chicago to take part in the Civic Orchestra of Chicago’s annual Bach Marathon. This year’s events involved Civic Orchestra members teaming up with the young musicians of the People’s Music School. The day featured twenty concerts at eight sites across Chicago. 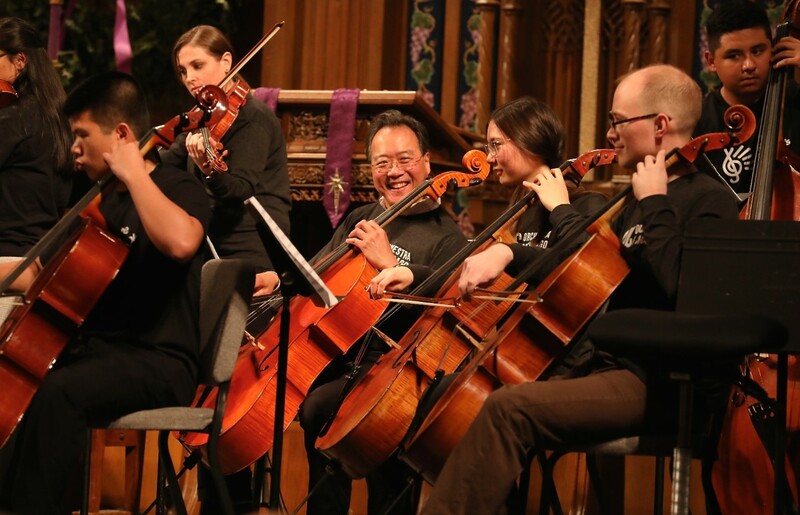 The Bach Marathon was established in 2014 as a response to an artistic challenge–issued by Chicago Symphony Orchestra Judson and Joyce Green Creative Consultant Yo-Yo Ma–to encourage music-making in Chicago communities.